Learning disabilities are problems in neural processing. These problems can interfere with basic learning skills such as reading, writing, and/or math. They can also interfere with top-level skills such as time planning, abstract thinking, organization, short or long-term memory, and attention. It is important to recognize that learning disabilities could impact an individual's life outside of academics and can affect relationships with friends, family members and in the workplace. How do you know if your children might have learning disabilities? The concept of learning disabilities refers to the extent of the problems and difficulties faced by individuals in their early stages of learning. The child's abnormal behavior is observed in one of his mental skills: thinking, concentration, and meditation, reading, and writing, spelling. It also includes problems of senses in speech hearing and sightseeing, but it is not limited and there is a lack of capabilities in the field of mathematical operations and numerology. It also includes children with special needs who are concerned with mental problems as well as psychologically and emotionally disturbed. 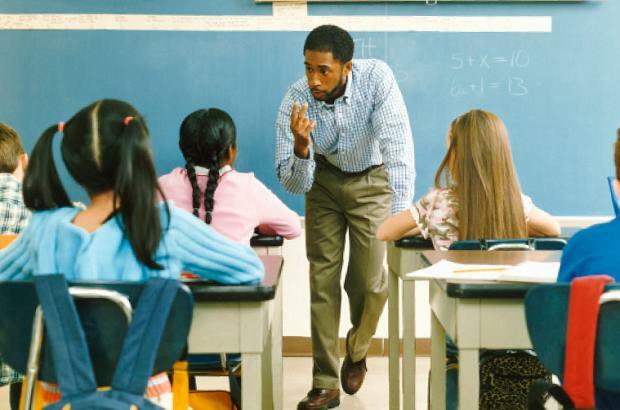 These problems are the main reason behind learning disabilities. There is no need to be confused with learning disabilities and learning problems. Learning problems are primarily caused by visual, auditory or motor handicaps; of emotional distress; of intellectual disability; or of cultural, environmental, or economic disadvantages. This refers to the difficulties associated with brain processes, including mental functions, the ability to remember and recall information and other cognitive functions that a child needs to learn in his early learning stages and is closely related to the extent of his or her academic achievement. 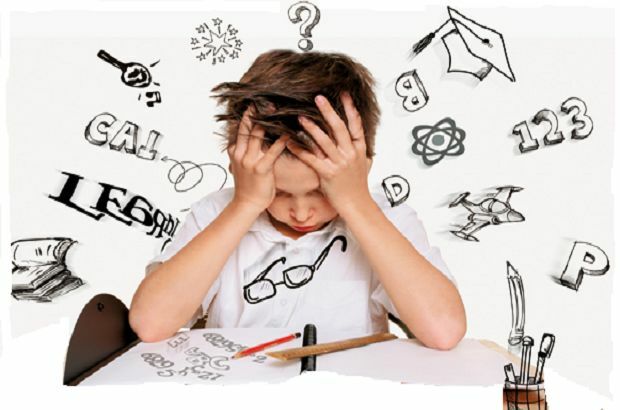 The reason for these difficulties is that there are disorders in the central region of the nervous system, which lead to a state of incomplete mental abilities responsible for the academic compatibility of the learner and his personal, practical and social consensus. These difficulties are in memory, attention, cognition, ability to deal with problems, as well as in thinking of the child learner. This type of difficulty represents the challenges faced by the child in the skills that are relevant to his scholastic, cognitive and academic performance, which control his collection and decrease means that he has a low level. These skills include spelling, pronunciation, reading, writing, the capability to express and the ability to understand processes. These difficulties are considered to be the result of the first type of developmental learning disabilities. This is a stage that adversely affects how sounds that travel unimpeded through the ear are processed or interpreted by the brain. People with Auditory Processing Disorder (APD) do not recognize the subtle differences between the sounds in words, even when the sounds are loud and clearly heard. They can also make it difficult to tell where the sounds are coming from, to understand the order of sounds, or to block the competition for background noises. This is a specific type of auditory processing disorder (APD), which has difficulty in applying meaning to sound groups that make up words, sentences, and stories. While auditory processing disorder (APD) impacts the interpretation of all the sounds in the brain, a language processing disorder (LPD) is only related to language processing and can affect receptive language and /or expressive language. The difficulty of reading (dyslexia) is a person's inability to read properly, namely the very slow reading and writing as a result of inaccuracies, and the difficulties in spelling words and sentences, as well as in understanding the meaning of words and sentences. The severity can vary in everyone but can impact reading comprehension, reading fluency, recalling, decoding, spelling, writing, and sometimes affect speech and may be present with other related disorders. The difficulty of writing (dysgraphia) is the person's inability to write and even just think about it. Dysgraphia affects the handwriting ability of a person and fine motor skills. These disabilities may include poor spatial planning on paper, inconsistent spacing, illegible handwriting, poor spelling. There is also difficulty thinking and writing as well as composing writing at the same time. The difficulty of calculation (dyscalculia): In this stage, it is very difficult to calculate something, due to lack of know-how and knowledge of number relations, and difficulty in the auditory or visual sense of numbers. Dyscalculia affects the ability of a person to understand the number and learn the facts of mathematics. In this type of LD, there may be a poor comprehension of mathematical symbols; there can be difficulty in remembering and organizing numbers, difficulty in telling the time, or difficulty in counting. The difficulty of movement (dyspraxia) occurs as a result of a lack of balance between the performance of the hand and look, thus the inability of the child to control the simple movements of writing and cutting words, as well as running and jumping. Dyspraxia is also defined by difficulty in muscle control which may lead to problems with speech, and language, movement, and coordination. Although it is generally not considered as a learning disability completely it is often present with dyscalculia, dyslexia or attention deficit hyperactivity disorder (ADHD). In these circumstances, there are three types of memory that are very important to learning. Short-term memory, long-term memory, and working memory, they are used to process both verbal and non-verbal information. If there is a deficit in any or all of these types of memory, the capability to store and retrieve information required to perform tasks can be reduced. This type of disability is generally characterized by an important discrepancy between visual-spatial and social skills, weak motor and high verbal skills. Generally, a person with non-verbal learning disabilities (NVLD or NLD) has difficulty interpreting non-verbal signals such as body language or facial expressions and can have poor coordination. This type of disability can affect the understanding of the information a person sees and impact the ability to copy or draw. There is a distinct characteristic in people with learning disabilities such as non-verbal learning disabilities or dysgraphia, which can lead to minor differences in shapes, printed forms or characters, holding pencil too tightly, struggles with cutting, frequent loss of position or poor hand/ eye coordination. This is an inadequate cognitive management system in the brain that impacts a lot of neuropsychological processes such as organization, planning, paying attention to details, remembering and strategizing, and managing space and time. Although this is not a learning disability, different types of weaknesses in executive functioning are always shown in learning profiles for individuals with specific learning difficulties or attention deficit hyperactivity disorder (ADHD). Such a disorder arises as a result of mental fragmentation and vulnerability to external factors, resulting in excessive activity, recklessness, and emotional fluctuation. Many children have difficulty reading, writing, or doing other learning-related tasks at some point. It does not mean that they are suffering from learning disabilities. Children with learning disabilities usually have many related signs and indicators, and they do not go away or get better with time. The signs and symptoms of learning disabilities vary from one person to another. Attention, please! The general indication included here is for informational purposes only; it is not intended to examine learning difficulties in general or the specific type of disability in learning. These signs and indications alone are not enough to determine whether a person has a learning disability. Only a professional can properly diagnose learning disabilities. Each learning disability has its own indications and symptoms. A person with a special disability cannot have all of the symptoms of a learning disability. There are many reasons for learning disabilities, so the treatment must be commensurate with the nature of the difficulty faced by children. The process of determining whether a child is actually inefficient or truly disabled and needs special care and supplementary education is the first step in developing a useful education program. A preliminary assessment must be conducted before giving any special education and treatment to the child. The child should be reassessed at least once every three years. The assessment involves collecting information from a variety of sources including parents and looking at cognitive, behavioral, physical, and developmental factors, as well as other areas. Once the child assessment has been completed, parents work together with a group of qualified professionals in order to determine whether their child needs treatment or special care for learning disabilities, if the professionals decide that a child is eligible for treatment and special education, there is a program whose objectives is linked directly to the strengths and needs identified through the assessment. Define the problem: This is done through the IQ test, in which many problems can be identified, including dyslexia where the child suffers from the order of letters and words, or the problem in writing. Auditory and visual test: To ensure that there is no vision or hearing problem in the children, these problems can be the main reason for learning disabilities. Discover a child's learning style: Some children learn better by touching and others by sight. Focus on a child's main strengths: To increase self-esteem for the child, focus on his strengths rather than weaknesses. Parents' understanding of the problem: Parents have a responsibility to understand the nature of their child's problem by helping them create a therapeutic program free of stress and pressure. Special tutorial: This is done through the design of a program suitable for the child's situation based on the type of educational difficulty faced, in cooperation between the psychologist, the teacher, and the family. Early Diagnosis: This stage is conducted under the supervision of two psychologists. Early diagnosis contributes to the best treatment of the condition and distinguishes many misunderstandings. Mutual cooperation between the school and the family: Designing a therapeutic program for all aspects of education in mutual cooperation between the family and the school, in order to influence the life learning difficulties in general. There is no perfect medical medicine that can cure and help those who have learning disabilities, but this does not mean that there is no cure for it. There are therapeutic methods that enable the patient to improve his learning ability and to enable him to live in a normal way. Appropriate treatment depends on the severity of the situation, the support, available learning techniques, and better coping with the state of learning difficulties.